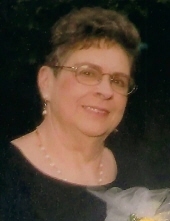 Mrs. Roberta Lee Buckner Davenport of Louisville, Kentucky, daughter of the late Robert Lee Buckner and Mollie Curry Buckner, was born on Tuesday, October 26, 1937 in Green County and departed this life on Wednesday, March 27, 2019 at the Hosparus Inpatient Care Center in Louisville. She was 81 years, five months, and one day of age. She had made a profession of faith in Christ and was a member of the Lyndon First General Baptist Church. She was also a retired child caretaker. Survived by her husband of 63 years, Colonel Carlos "Hobby" Davenport of Louisville, having united in marriage on May 21, 1955. Other survivors include two daughters and sons-in-law: Diane and Gary Hiser of Pewee Valley, and Vicky and Dana Robbins of Knob Lick; six grandchildren and their spouses: Bryan and Kaelin Hiser of Shepherdsville, Cody and Amy Hiser, Randy and Emily Puckett, Michael and Gayle Hiser all of Louisville, Andrew and Briana Robbins, and Tiffany and Kendall Hall all of Knob Lick; 14 great-grandchildren; four brothers and sisters-in-law: Donnie and Linda Buckner, Elroy and Dana Buckner, Bobby and Joyce Buckner all of Greensburg, James and Jeanne Buckner of Louisville; a sister and brother-in-law: Janey and Bobby Compton of Greensburg; a sister-in-law: Genivieve Buckner of Hodgenville; and a host of other relatives and friends. Mrs. Davenport was also preceded in death by two brothers: Billy Buckner, and Nathan Buckner; and a sister: Dixie Hagan. The funeral services for Mrs. Roberta Lee Buckner Davenport will be conducted at 1:00 P.M., Central Time, Saturday, March 30, 2019 at the Cowherd and Parrott Funeral Home with burial to follow in the Davenport Cemetery. Bro. Roger Poynter officiating. Visitation is requested from 3 P.M. until 8 P.M., Central Time, Friday at the Cowherd and Parrott Funeral Home and after 7 A.M., Saturday until time of the funeral service. Memorials are suggested to Hosparus Inpatient Care Center of Louisville or the Davenport Cemetery, which can be made at the funeral home. To plant a tree in memory of Roberta Lee Davenport, please visit our Tribute Store. "Email Address" would like to share the life celebration of Roberta Lee Davenport. Click on the "link" to go to share a favorite memory or leave a condolence message for the family.